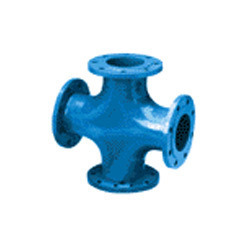 Providing you the best range of duck foot bend, double flanged bend, double flanged tees, flange tail piece and all flanged cross with effective & timely delivery. Being a client-centric organization, we are engaged in offering a distinct collection of Duck Foot Bend that used in water supply, drainage and gas pipeline universally. Our adept professionals design this bend using top notch quality raw material and cutting edge technology. Our provided bend is strictly tested on variegated parameters by our quality examiners so as to deliver a flawless product at clients end. Owing to our state-of-art manufacturing unit and the usage of leading-edge technology, we are able to present a comprehensive range of Double Flanged Bend that is used in varied industries. Keeping in mind set industry norms; this bend is designed by our experienced professionals by using supreme quality raw material and sophisticated technology. Furthermore, our quality examiners test this bend on pre-defined parameters in order to ensure its durability. In line with clients' variegated requirements, we bring forth a distinguished collection of the Double Flanged Tees. These tees are manufactured at our well established designing unit using the finest quality raw material and innovative technology in sync with set quality norms. To ensure their durability, these tees are tested against varied quality parameters. Moreover, clients can avail these tees from us at budget friendly prices. 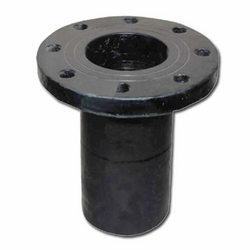 We are enlisted among noteworthy manufacturers and suppliers of flange tail pieces. 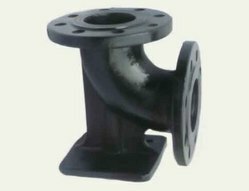 Manufactured using high grade cast iron, our products are available in sizes ranging from 80 mm to 600 mm. besides, these high end products are flawless in performance and have a working pressure rating of 1.0/1.6 MPA. Owing to our state-of the art product facilities, we manufacture these flange tail pieces in bulk quantities within the predetermined time frame. Further, we deliver the entire range in a prompt manner at the clients’ doorsteps. 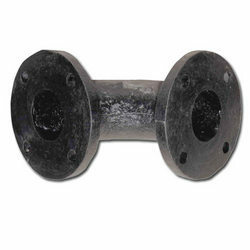 We are engaged in manufacturing, importing and supplying high quality All Flanged Cross that is used in various industrial applications for connecting pipes. Designed using optimum quality raw material and sophisticated technology, this cross is manufactured by our skilled professionals in adherence with set industry standards. Our provided cross is tested by our quality examiners on varied quality parameters. We offer this cross to our clients at affordable prices. 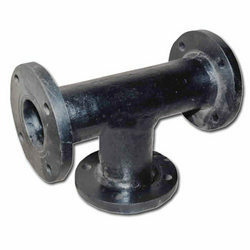 Looking for Flanged Fittings ?